Early Baseball cards were produced primarily as a marketing vehicle but as collectors started accumulating them, they quickly became a valuable collectors item. 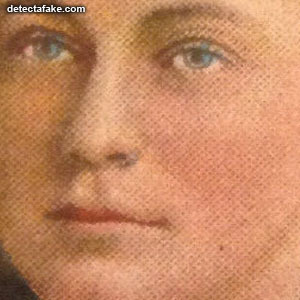 Since then, counterfeit cards have been showing up everywhere there are collectors. 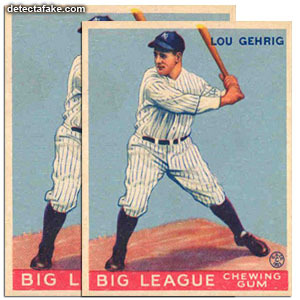 Below are a few tips so you can avoid being the next buyer of fake baseball cards. Each set has its own unique stock. 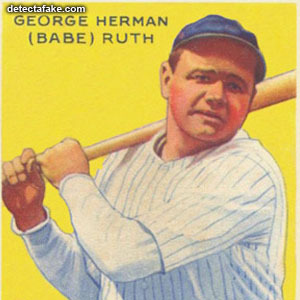 From the thick 1933 Goudey Gum cards to the nearly paper thin T205 or T206s, the color and stock for each issue is unique. Seeing and handling these cards is your best defense against counterfeit cards. 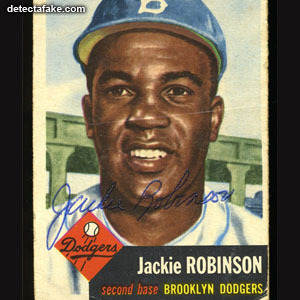 It might not be possible to ever examine an actual rare card in real life, but a savvy collector will at least be familiar with what a T206 or 1952 Topps baseball common card looks and feels like. 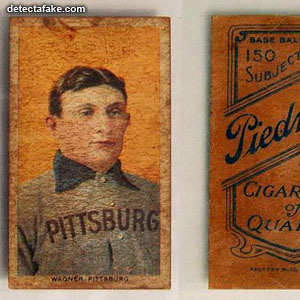 Even a hundred year old tobacco card like a T206 can be purchased for less than $15. Experience is the best teacher. Handle as many cards as possible and remember what you see. 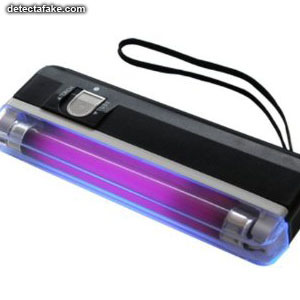 One way of exposing older fakes is by using a black light. 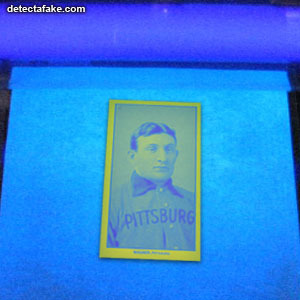 Modern fakes and reproductions generally fluoresce under a black light due to brighteners in the paper. Most older cards do not. 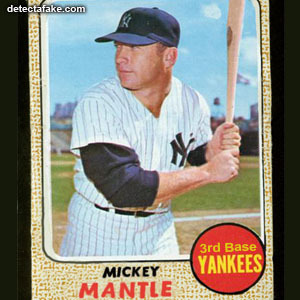 Modern fakes usually can't reproduce the high quality printing of the authentic baseball cards. 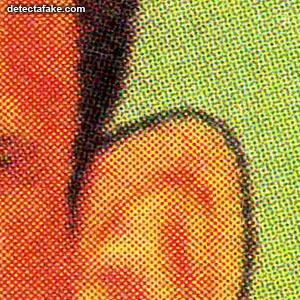 By magnifying the card, you will usually reveal the dots produced by a modern printer. Look for uniform dots that repeats a pattern. If you see that on an older card. it's probably a fake. This should be the easiest thing to get right, but many counterfeits (especially early tobacco cards) are often bigger or smaller than the real cards. A book like the Standard Catalog of Baseball Cards is a great source for true card measurements. Another thing to look out for is artificial aging. Tea or coffee stains are used to simulate age toning. Sandpaper and other methods are used to round corners or provide a bit of surface wear. Look for torn areas or scrapes to hide a date or the word "REPRINT". Another thing to look for are unknown card types. Cards that don't actually exist except in the counterfeit world. These are difficult to verify since they never existed. Use the internet to search for any card you're not familiar with. Every card should have some kind of documentation.